Lupo Superpanel – the new 1×1 LED panel output king? 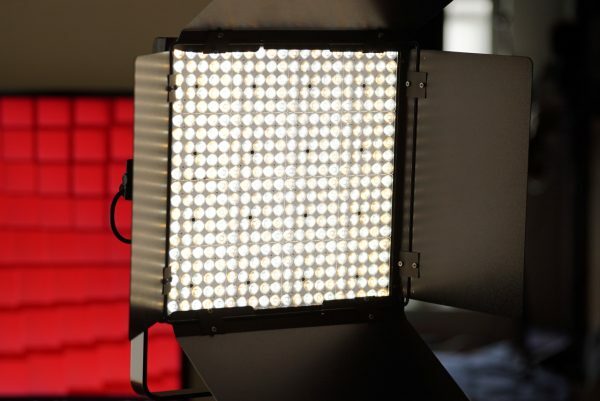 At the IBC Show in Amsterdam recently I came across a new 1×1 LED panel from Lupo. 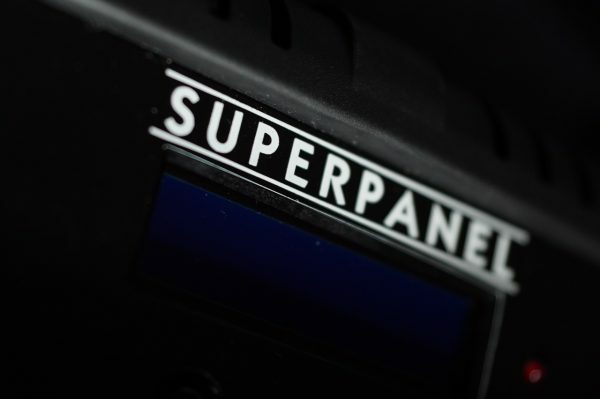 Called the Superpanel, it is available in single colour 5600k and 3200k models, and a bi-colour (3200-5600k) version. What immediately caught my eye was the sheer output that the light was able to produce. 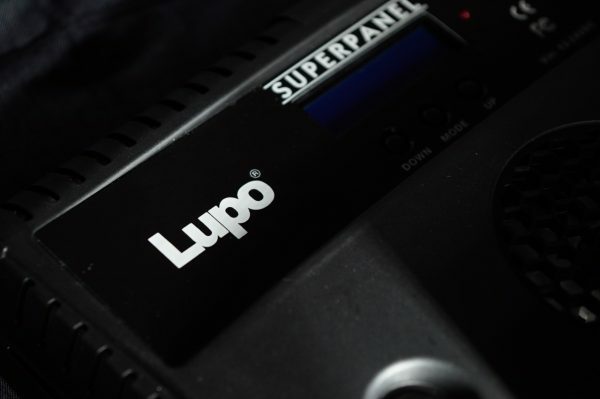 Lupo claimed the Superpanel could output 21000 lx at a distance of 1 metre. Given most 1×1 panels put out 3000-7000 lx at the same distance, I was initially a little skeptical, so of course I had to put it to the test. 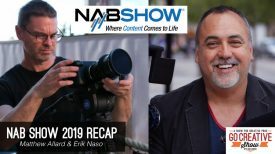 Since getting back from IBC, I have been running the Superpanel through its paces and wanted to see if the claimed figures truly measured up with my own testing. Before I get into those results lets have a quick look at the two models and see what they offer. 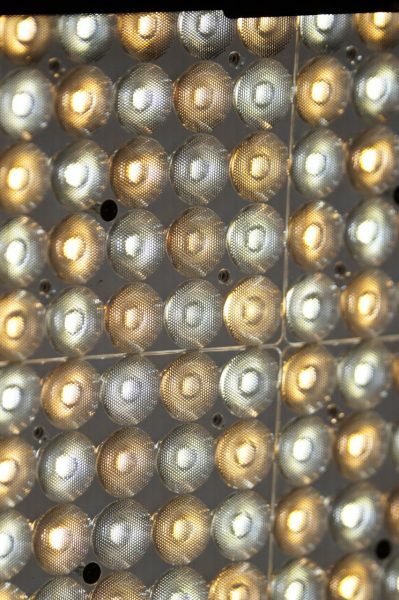 The daylight (5600k) only version looks from the outside like most other 1×1 LED panels that are available on the market. There is nothing from its appearance that indicates that this anything other than your average 1×1. There is a fan on the back, a simple LED screen with three buttons, a dimmer control and an on/off switch. The light is solidly made, but the fixture only weighs 2.1kg (4.85lb), or 3.3kg (7.27lb) with the yolk frame and power supply attached. The power supply sits securely on a bracket, and this can be changed to a v-lock plate if you want to run it from a camera battery. Both lights draw 120W, so you will need to use a fairly powerful camera battery if you want to run the light at maximum brightness without mains power. 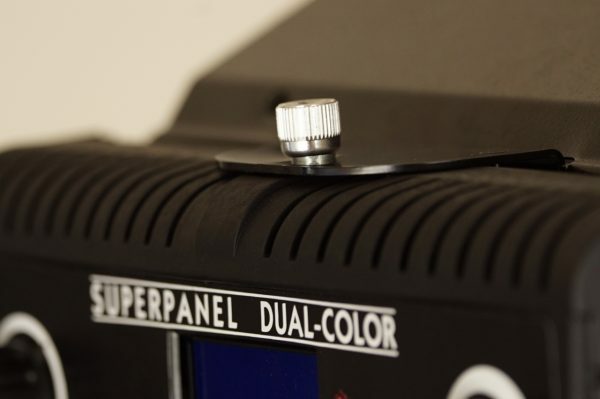 Lupo sells their own V-mount battery, especially designed for the Superpanels, as an option. The light can be increased in brightness in 1% increments and is fully dimmable from 100% all the way to 1%. It can be controlled via DMX and you can also choose to switch the internal fan off if you are worried about noise. There is a downside to this though – the light will then only run at 50% of its maximum brightness. In practice I found that the fan is so quiet I don’t see there being any reason why you would ever have to turn it off. 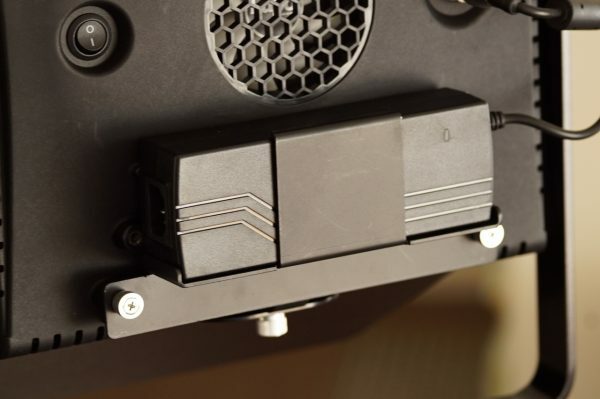 There is an insert on the front of the panel for sliding in filters, or diffusion, and a 1/4 20″ threaded hole on the top and the bottom of the light for attaching the optional barn doors. The Dual Colour version of the Superpanel looks almost identical to the 5600k version with the only exception being the added colour temperature dial. The light is again fully dimmable from 100% to 1%, and you can adjust the kelvin range in one kelvin increments for precise colour temperature. 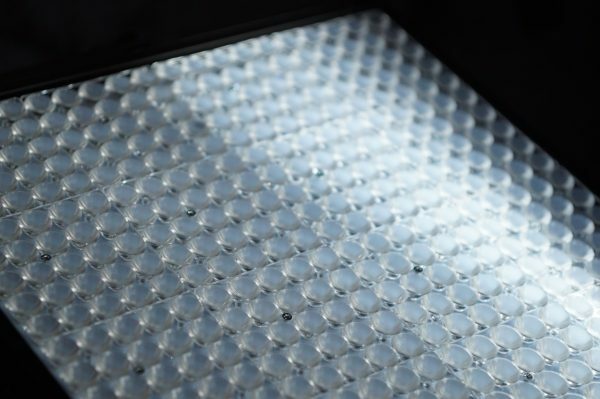 The Superpanel lights have a 40 degree beam angle which keeps the light source from spilling everywhere. 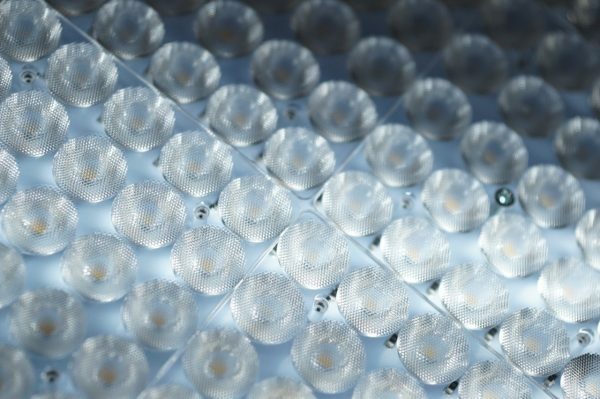 The Superpanel features 400 surface mounted LEDs that are claimed to have a long life span despite being densely packed together. When the lights are turned off it’s best to think of both Superpanel models as being like Bruce Banner, but once you turn them on, they turn into the Incredible Hulk. You don’t have to pull out a spectrometer to tell that these lights have an incredibly powerful output, but in the interests of testing, I did anyway. 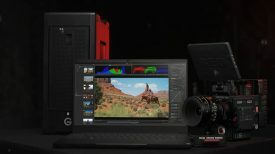 I tested both the 5600k daylight Superpanel and the Dual Colour version at a distance of 1 meter with a Sekonic C-700 so I could get an accurate assessment of the lights photometric performance. Firstly I tested the 5600k versions output at a distance of 1 meter in a controlled environment, and below you can see those results. Lupo claim that this light is capable of putting out 21000lx at a distance of 1 meter, and from the above test you can see that the light actually exceeds those claims with a figure of 23400lx. Not only is it extremely powerful but it also recorded a ⊿uv (the value to show how much this light is away from being an ideal light source) of 0.0007 which is an extremely good score. To put the figure of 23400lx in perspective, the much larger, and considerably more expensive Arri SC60C Skypanel with an optional intensifier panel put out 17500lx when I tested it at the same distance. It isn’t unusual to see a bi-colour version of the same light have considerably less output than that of a 5600k only version. While the Bi-Colour version followed this trend, it still didn’t dissapoint, with a figure of 21800lx. What was also good to see is that the kelvin temperature measured when tested at 5600k was almost identical on both the Bi-Colour and 5600k version. This is very important if you were planning on using the two different models together on a shoot, as you will know the kelvin temperature will be the near identical for both fixtures. With most bi-colour LED lights you usually see a drop off in brightness at 3200k compared to 5600k, and the Lupo showed exactly that. At 3200k it recorded 19300lx, down from 21800lx at 5600k, but still this figure is exceptionally good. The light also had a ⊿uv (the value to show how much this light is away from being an ideal light source) of 0.0003 and a kelvin temperature of 3157k. This light is about as good as you can currently get for re-creating 3200k light. Now that we have looked at the output, how do the lights perform when it comes to accurately re-producing colours and skin tones? Given their incredibly high output, had Lupo cut any corners with the colour accuracy? 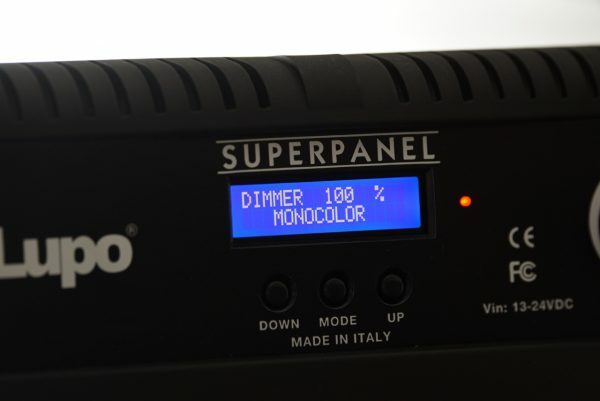 I was keen to see if the Superpanel was more than just a one trick pony – after all, in the past there have been high output lights from other makers that are excessively green or magenta in colour. Below you can see the colour rendition results I got from testing both versions of the light. The 5600k version recorded a average CRI (R1-R8) of 95.7, and a Extended CRI (R1-R15) of 93.7. For replicating accurate skin tones it recorded for R9 (Red) 93.0, R13 (closest to caucasian skin tones) 97.7 and R15 (closest to asian skin tones) 96.0. These figures are very good, and the light is excellent at producing accurate skin tone colours. The Dual Colour version when tested at 5600k recorded a average CRI of 93.7, and a Extended CRI of 90.98 . For replicating accurate skin tones it recorded for R9 (Red) 78.6, R13 (closest to caucasian skin tones) 94.3, and R15 (closest to asian skin tones) 92.9. While these figures aren’t quite as good as the 5600k only version, the light still performed well. Any light with an extended CRI in the 90’s is going to be able to replicate colours very accurately. The Dual Colour version when tested at 3200k recorded a average CRI (R1-R8) of 94.7, and an Extended CRI (R1-R15) of 92.3. For replicating accurate skin tones it recorded R9 (Red) at 78.6, R13 (closest to caucasian skin tones) 95.5, and R15 (closest to asian skin tones) 94.1. These figures were slightly better than when the light was tested at 5600k, but the results indicate that the light offers similar colour rendition at both 3200k and 5600k. So now that we have the facts and figures out of the way, how are the lights to actually use and what does that light look like? 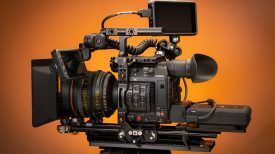 Having a super powerful output is great, but in reality you are going to have to use some serious diffusion if you don’t want a very harsh light source. You really can’t stand in front of a Superpanel that hasn’t been diffused when it is running at 70% and above, it’s just too bright. 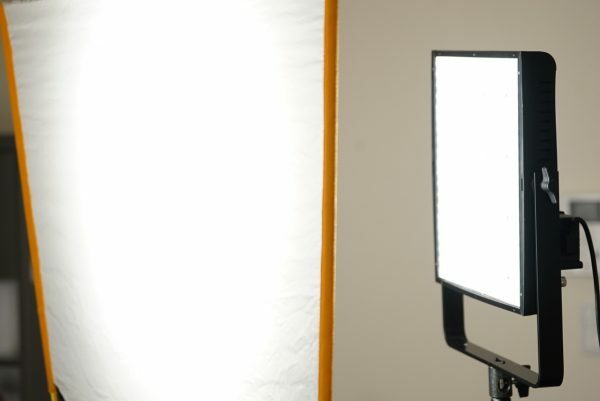 To use the light directly on subjects or for interviews you need to use a soft box or diffusion in a frame. I found this provided really nice results as you can create a nice diffused, soft light. The lights output is very concentrated as the Superpanel doesn’t have a wide beam angle. This can make it tricky if you try and light up a large area by pointing the light directly, or even when diffusing it. I found the best solution for lighting up larger spaces was to not diffuse the light, but rather bounce it into a wall or a ceiling to create an indirect light source. With the lights high output, this works really well. The Superpanel lights seem robust, and look like they would stand the test of time. Whether the high output of the LED bulbs ends up shortening the light’s lifespan is something only time will tell. 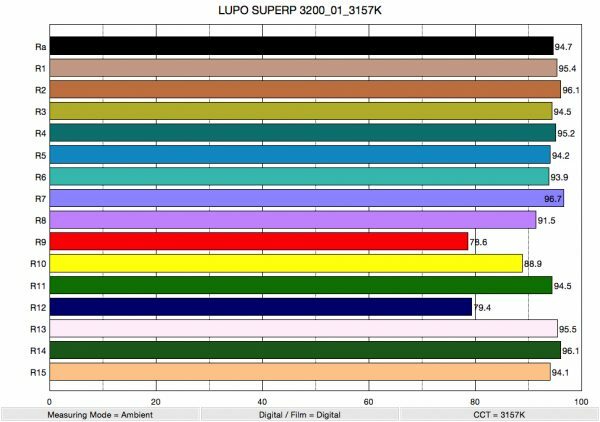 The closest competitor to the Lupo Superpanel is arguably the yet to be released Dedo Felloni Turbo that we first saw at NAB earlier in the year. The Felloni Turbo is almost double the cost of Lupo Superpanel, so I was keen to see how the photometric data compares when looking at them head to head. Above you can see the output results from both bi-colour versions of the lights when measured at a distance of 1 meter. 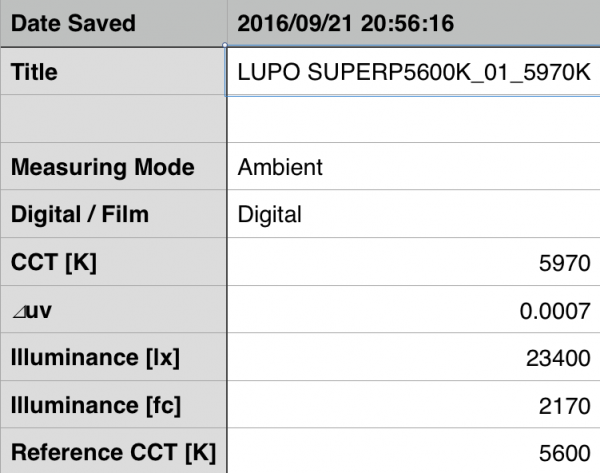 The Lupo Superpanel puts out 5500lx more than the Dedo Felloni Turbo when both lights were set at 5600k. 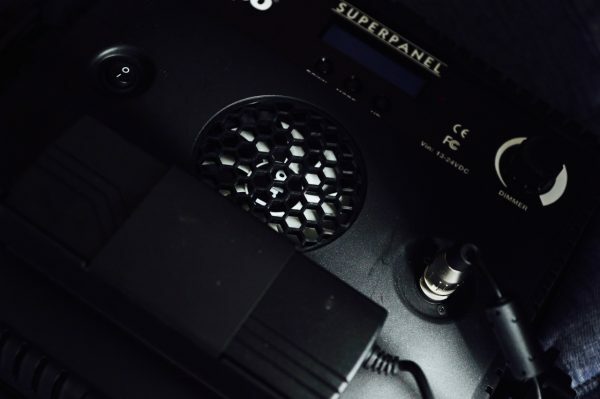 The output of 21800lx from the Superpanel is quite extradinary for a battery operated 1×1 LED panel. 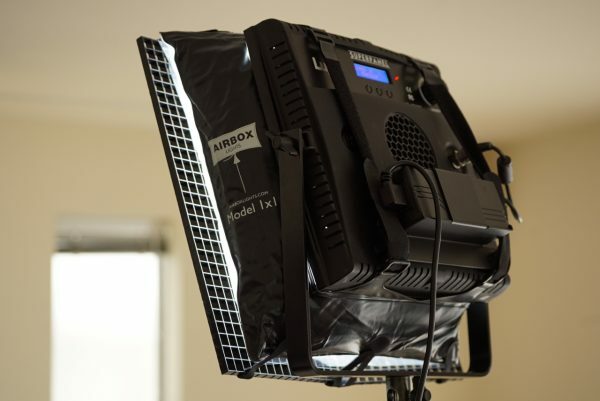 To put this figure in perspective, the original Litepanels Bi-Colour 1×1 Flood had an output of 1550lx, and the much larger Arri Skypanel SC-60C when used with a optional intensifier panel puts out 17500lx. Above you can see the head to head comparison when I tested the Superpanel and Felloni Turbo at 3200k. 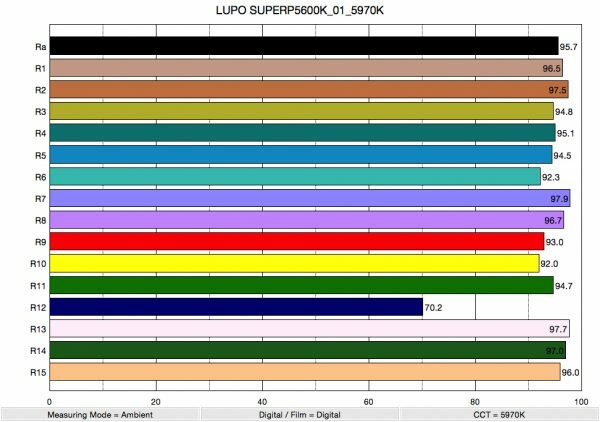 As you can see the Dedo Felloni lost 4100lx (around 25% of its output) when switched from 5600k to 3200k, while the Lupo Superpanel lost 2500lx. Output is one thing, but how do both lights compare when it comes to reproducing accurate colours and skin tones? Below you can see the Photometric data from my head to head tests. At 5600k the Dedo Felloni Turbo recorded a CRI (R1-R8) of 94, and an Extended CRI (R1-R15) of 91.12. For replicating accurate skin tones it recorded for R9 (Red) 74, R13 (closest to caucasian skin tones) 94.2 and R15 (closest to asian skin tones) 88.9.. 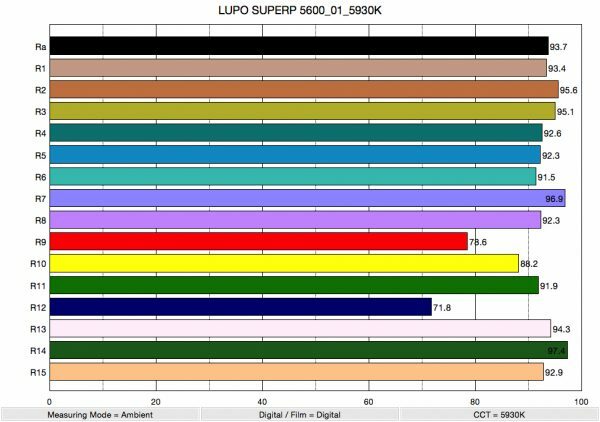 The Lupo Superpanel recorded a average CRI of 93.7, and a Extended CRI of 90.98 . For replicating accurate skin tones it recorded for R9 (Red) 78.6, R13 (closest to caucasian skin tones) 94.3, and R15 (closest to asian skin tones) 92.9. The figures are very close for both lights, and you would be hard pressed to tell them apart. At 3200k the Dedo Felloni Turbo recorded a CRI (R1-R8) of 96.7, and an Extended CRI (R1-R15) of 96.02. For replicating accurate skin tones it recorded for R9 (Red) 92.7, R13 (closest to caucasian skin tones) 97.3, and R15 (closest to asian skin tones) 96.3. The Lupo Superpanel recorded a average CRI (R1-R8) of 94.7, and an Extended CRI (R1-R15) of 92.3. For replicating accurate skin tones it recorded for R9 (Red) 78.6, R13 (closest to caucasian skin tones) 95.5, and R15 (closest to asian skin tones) 94.1. The Dedo Felloni Turbo seems to have the slight edge when used at 3200k, but both lights perform very well at this kelvin temperature. The 1×1 Superpanel LED from Lupo really is a wolf in sheep’s clothing. 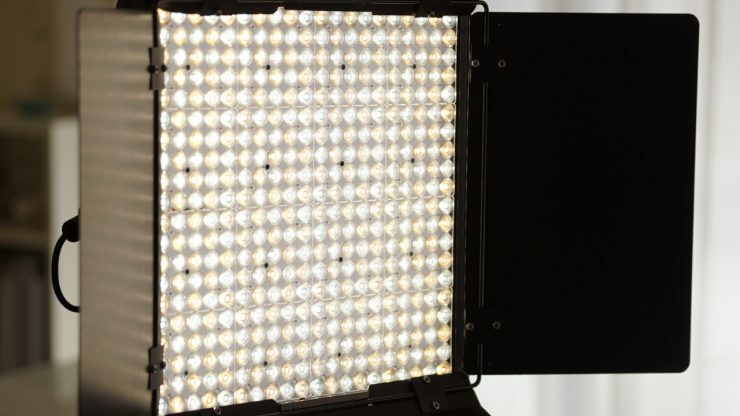 With a huge output for a battery powered 1×1, and good colour rendition, it really is hard to overlook if you are looking to buy a new portable LED light. Having so much output means you need can easily add diffusion to make it useful in many shooting scenarios. I prefer having the power on tap and being able to diffuse it when I need, rather than trying to use a less powerful 1×1 panel from someone else. That said, the 40 degree beam angle does hamper the light’s ability to light up larger areas, but there are ways around that as I mentioned earlier. I would like to see Lupo perhaps make a flood version of the Superpanel for use when you want to directly light up bigger spaces. Lupo have done an outstanding job with the Superpanels, and with a retail price of €900 ($1010 US) for the 5600k version, and around €1100 ($1235 US) for the Bi-Colour, they are sure to find their way into a lot of shooters kits. If you are in the US you can purchase the Superpanels from brightline for $985US, which includes free shipping.